These genuine Austrian crystals are made in famous Swarovski Elements collection world-known for best sparkling pearls and crystals. 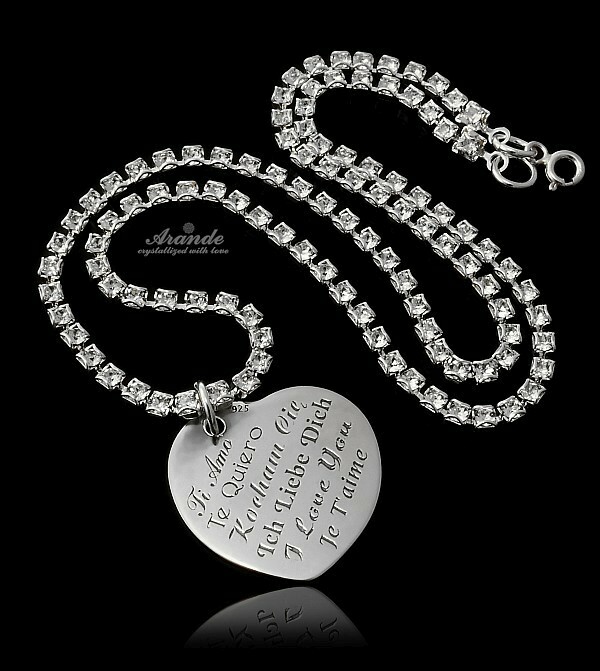 Original large siver HEART with the words "I love you" in 6 languages. 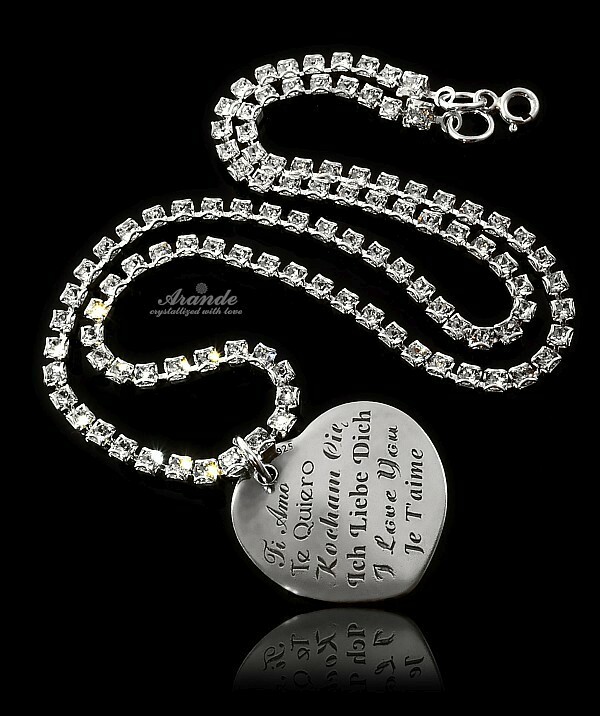 Added with dekorative chain with Swarovski Crystals. Unforgettable jewellery for any occasion. It can be central element of your style or may be a perfect gift for your significant other. Silver heart and clasps made with sterling silver 925. The stamp is marked on the clasp. Chain witch Swarovski Crystals made with silver plated antiallergic metal. 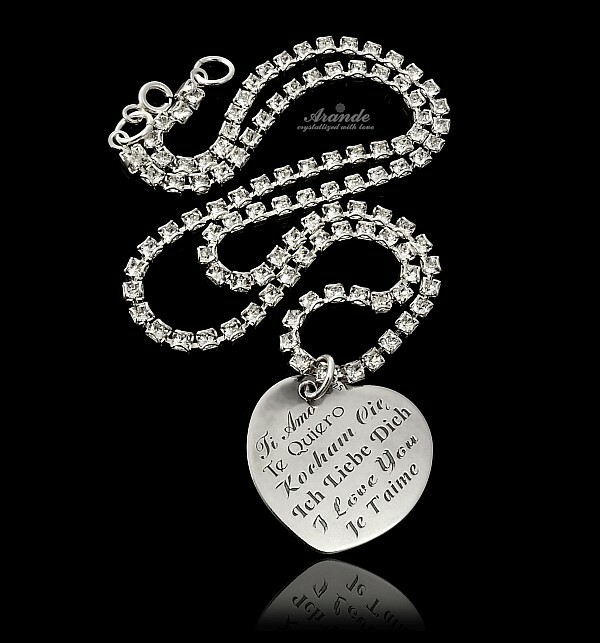 Beautiful necklace with stylish finishin clasp.